Set off on another adventure with this Assassin's Creed Infinity Light. 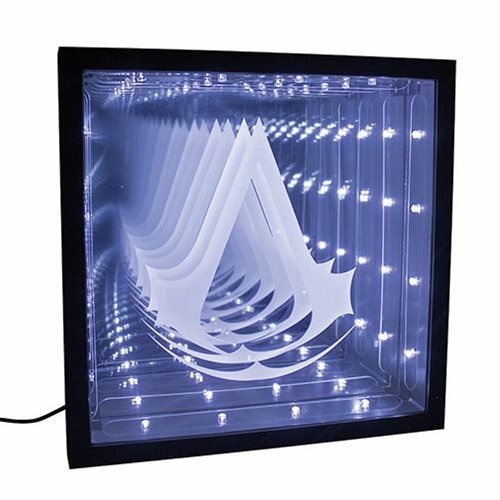 Featuring the instantly recognizable Assassin's Creed logo disappearing into the distance, this optical illusion LED light is sure to please fans of the iconic game franchise. The LED light can be wall-mounted or free-standing. Measures about 12 1/2-inchces tall. Requires 3x "AA" batteries, not included.